24 D TruFlow Hand Spreader [1-CCSP2001] - $950.00 : Signature Tennis, Your source for Country Club quality products and services for all your tennis court needs. 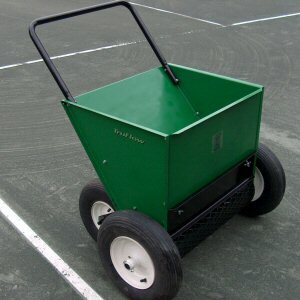 Lee Tennis is excited to introduce a completely new line of spreaders...Tru-Flow top-dressors. The 24" hand model will hold up to 4 - 80 lb. bags of Har-Tru.